Since my kids are learning the Dutch and the Hungarian alphabet at the same time, I just wanted to create alphabet posters for them —not only showcasing the letters itself but also the wide variety of their forms. Therefore I have juxtaposed various serif, sans-serif, traditional and modern font families featuring both uppercase and lowercase letters. This poster is intended to be printed out in DIN A2 size, and there are two: Dutch/English and Hungarian variants. 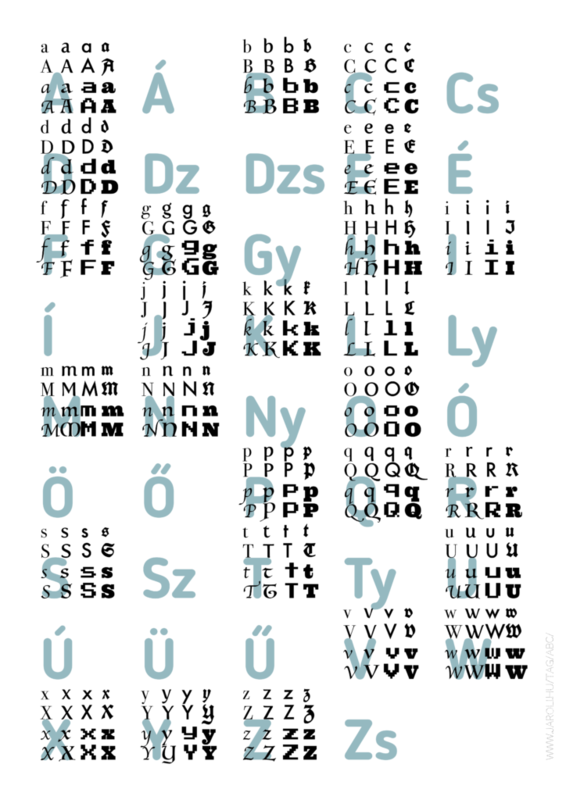 The Hungarian alphabet lists all the specific Hungarian letters, but I haven’t included the letter face variants for digraphs, trigraphs and the letters with special Hungarian diacritic marks — on one hand, to clearly show the difference between the two alphabets, and on the other hand to keep it simple, as digraphs would not have easily fit in the schema. Blogger Sans: For the big letters, I wanted to use something very minimalistic yet elegant. 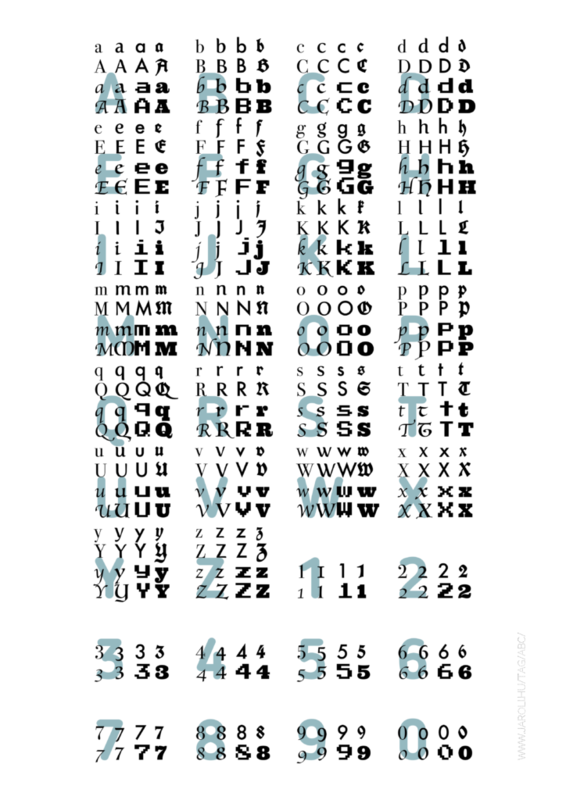 Bodoni 72: I found this serif typeface already installed on my Mac, perhaps a little bit narrow, but classic. Fertigo Pro: This is one of my favourite (free) typefaces. If you put it next to a classical serif and a geometric sans-serif, it really seems to be somewhere in-between. Futura: Perhaps the most puristic and minimalistic font family. UnifracturCook: Since the main goal of this alphabet is to showcase typographic diversity, I could not miss a blackletter (fraktur) typeface, even if my kids won’t see many of these glyphs too often. Apple Chancery: I also wanted to include calligraphic fonts, and this one was installed on my computer too. Luminari: Yet another example of typefaces amalgamating Middle Ages writing styles, adding totally different glyphs for letter a and g for instance. Press Start 2P: for the sake of diversity again, an early digital typeface, can be considered also historical nowadays, showing the bare essence of every uppercase and lowercase letter. Ultra: again and extremity, this time in terms of boldness. These letter faces look so different, but they will also help my kids to easily recognise these forms too. Inkscape SVG versions are also available on request.